Welcome to the Championship Series Event! Build lineups with the current MLB postseason teams in the Championship Series Event. 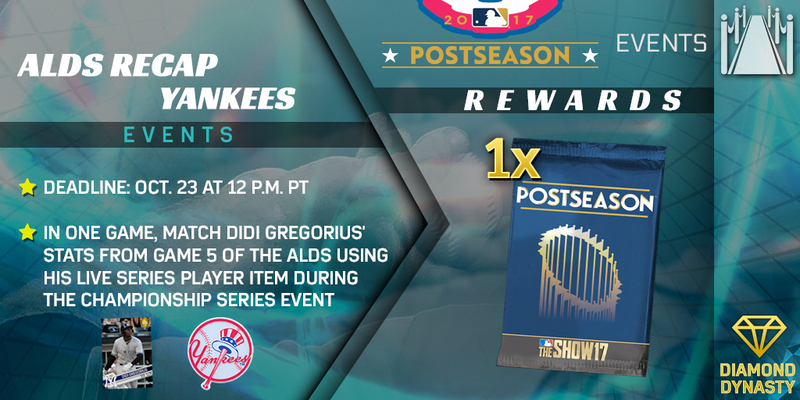 Players from the Astros, Yankees, Cubs, and Dodgers are eligible to enter the Championship Series Event. The player items can be Live Series, Legends and Flashbacks. Your team overall is 99 OVR, so build your best teams possible! 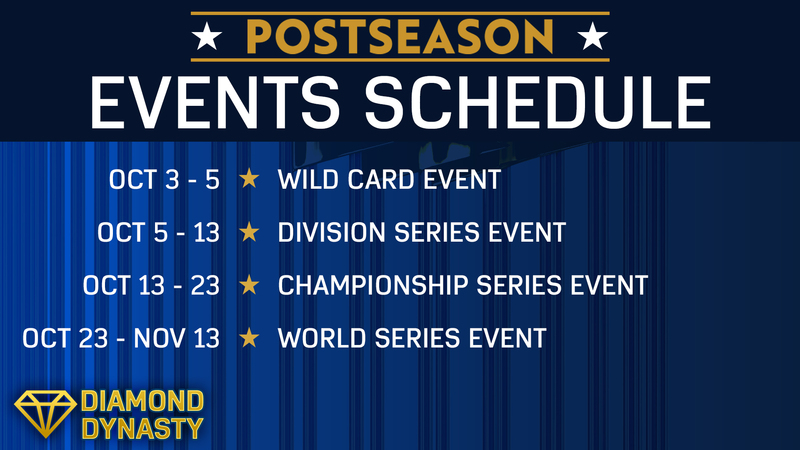 The Championship Series Event consists of only 6-inning games.